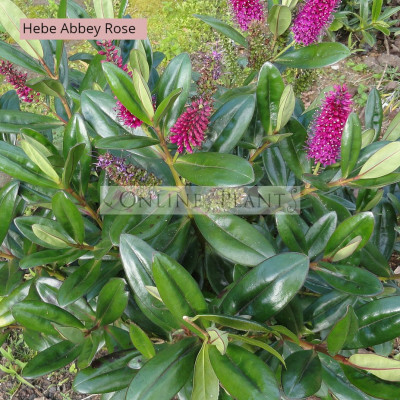 Hebe Abbey Rose is a great new hardy shrub from New Zealand. It has rounded evergreen glossy leaved shrub with masses of rich purple/pink flowers through Spring and Summer. Great as a low hedge, border or feature plant. Can be pruned after flowering to maintain density and encourage further flowering. Plant in full-sun or partial shade for best results, Will reach 60-80cm at maturity in height and width.